Marisa Moore, MBA. RDN. LD. I’m a registered dietitian nutritionist with a unique background in clinical nutrition, wellness, and the food industry. As a result, I see how the dots connect and relate well to a variety of audiences. I became a dietitian because I love food and teaching. 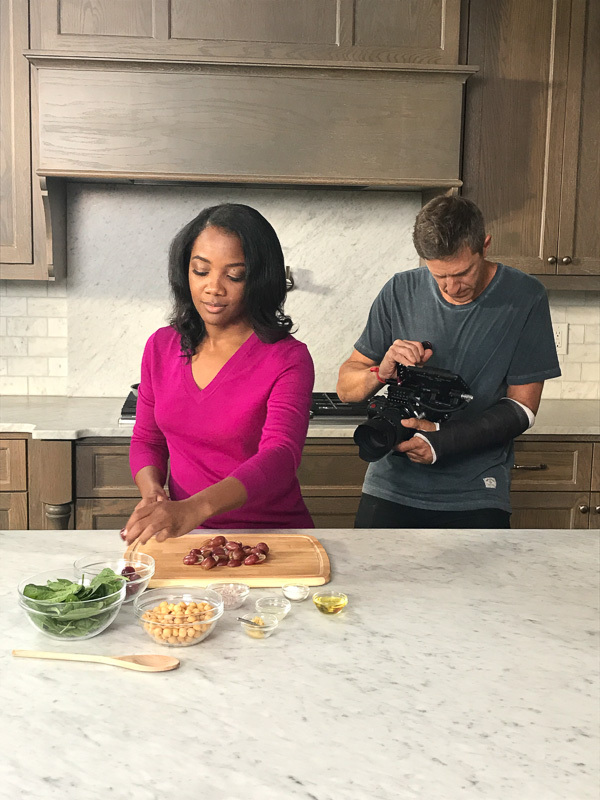 Since leaving my full-time job at CDC 3 years ago, I’ve strengthened my culinary nutrition skills from recipe development to food demos and more. After majoring in chemical engineering at Georgia Tech, I quickly realized that though I enjoyed chemistry and being unapologetically analytical, that path didn’t honor my true passion. Becoming a registered dietitian married my love for food, science, and education. My Philosophy: I’m a bit of a purist. I believe a minimally processed diet high in fruits and vegetables, beans, nuts, whole grains, fish and healthy fats is essential for a healthy mind and body. My goal is to help make your journey towards lifelong health and wellness a little easier. I use a food first strategy. Whether working with an audience of one or many, I cut through the nutrition noise with sound science and realistic strategies for the public and media alike. I deliver solutions based on current evidence-based food and nutrition information. Credibility is my most prized asset. I grew up in the rural south – surrounded by fresh produce. Often accompanied by biscuits, cornbread or a side of fat back, my plate was always full of vegetables. That whole “local food” thing was not a trend for us; it was a way of life. I shucked corn, shelled peas and “looked” greens every week of the summer on the porch with my Grandma. I ate things that you can’t begin to imagine, but I’m grateful for those experiences. Eating well is not a one-shot, all or nothing thing. It’s a process, and I’m here to make the process a little easier. You can trust that I’ve done the research on anything that I say here, on camera or social media. Marisa is a trusted food and nutrition expert appearing regularly in national media outlets. Marisa has over ten years of experience working with clients to improve health outcomes in overall wellness, weight management, diabetes, high cholesterol, blood pressure and heart disease. She also collaborates with the food and restaurant industry to develop and promote healthy recipes, food products and campaigns. And most recently, she is excited to partner with like-minded organizations to help spread the great food and nutrition word via media and spokesperson work. Marisa is a contributing editor for Food and Nutrition Magazine where she reviews mobile health apps and writes articles on the latest food and nutrition trends and topics. She is the consultant dietitian for Spelman College and currently serves as adjunct faculty at Georgia State University. Marisa is also a contributor to People magazine and blogger for US News & World Report and the Huffington Post. Before launching her consultancy full-time, Marisa managed the nutrition worksite wellness program for the US Centers for Disease Control (CDC). Previously, she was the corporate nutritionist for Atlanta Bread Company where she worked in research and development and marketing. Early in her career, Marisa developed a strong foundation in medical nutrition therapy as an outpatient dietitian where she focused on diabetes education, cardiovascular nutrition, and weight management. 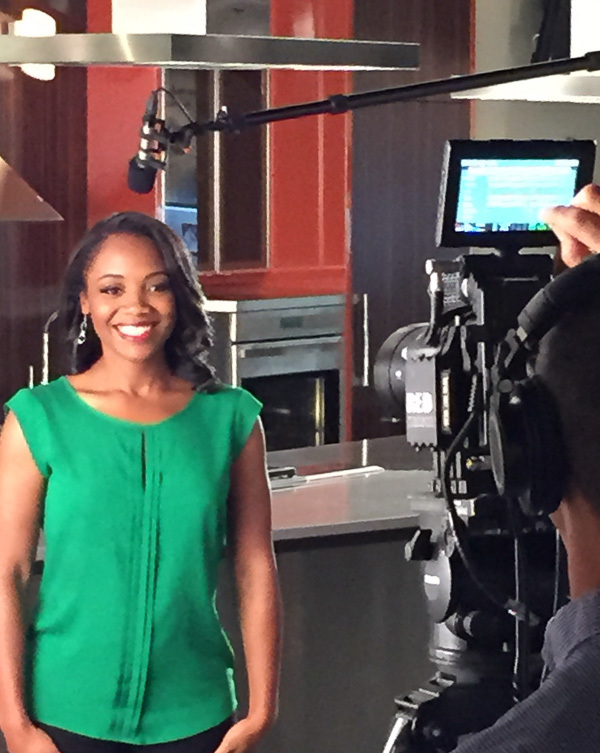 A former spokesperson for the Academy of Nutrition and Dietetics, Marisa has been featured in over 1,000 interviews in national print, TV and radio media outlets. She is a past President of the Georgia Dietetic Association (GDA) and is an active member of the Robinson College Council of Business Young Leaders. Marisa holds a bachelor of science degree in nutrition and dietetics from Georgia State University and an MBA (Marketing) from that university’s Robinson College of Business. In her free time, Marisa enjoys traveling, salsa dancing, cycling and almost anything related to food. Contact Marisa to book an engaging and informative session on nutrition and wellness for your next event! Email Marisa for your next media story. She understands tight deadlines so don’t hesitate to reach out!